Gainesville Raceway opened in 1969 and held its first Gatornationals event in 1970. Long considered one of the fastest tracks on the NHRA circuit, it was from this legendary launch point that drivers clocked the first 260-, 270- and 300-mph Top Fuel runs. It also was from this starting line, during the 2000 Mac Tools NHRA Gatornationals, that eight of 10 national records were set in the professional classes. Gainesville Raceway has a separate road course, which is purpose-built for vehicle testing and driving schools. Completed in 2000, the road course has 1.6 linear miles of asphalt, with a 1 mile long outer loop. The road course has multiple inter-connecting loops and turns for training exercises. It has been used extensively for law enforcement training, high-performance driving schools, and amateur and professional testing and tuning. The road course is equipped to handle corporate hospitality functions, autocrosses, and other events. 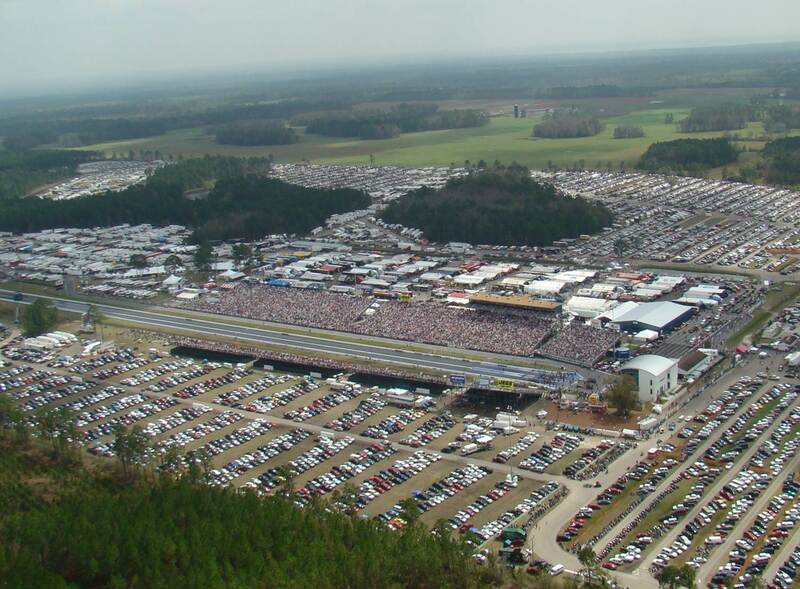 Following the 2003 season, Gainesville Raceway underwent significant renovations. The concrete launchpad at the starting line of the ultra-quick drag strip was extended to the 675-foot mark and the remainder of the racing surface, the shutdown area, as well as areas in the professional pits was repaved. A new television compound was constructed for the ESPN crew on the north side of the drag strip, which frees up space in the pit area. The Pavilion at Gainesville Raceway, completed in 2006, is a 15,000 square foot, open-air, multi-purpose facility equipped with roll-down weblon siding to allow for partial to full enclosure. Traditionally used as the main hospitality area for the Top Eliminator Club during the Amalie Oil NHRA Gatornationals, it has also played host to the Gainesville Area Chamber of Commerce Annual Gala Dinner, Gainesville Raceway’s Annual Racer Banquet, car shows, and many other events. The skybox suites were constructed and completed in 2007. The suites were designed to replace the aging VIP suites in the old race control tower with contemporary features consistent with high-end accommodations and viewing angles for our unique motorsport. The skyboxes are set 50 feet above the ground located over the south-side spectator grandstands. These skybox suites offer both inside and outside seating, closed-circuit TV, air conditioning, and other amenities with an unparalleled panoramic view of the racing action. With provisions for catering and upscale restroom facilities on the skybox level, these boxes offer unique comfort and convenience for the motorsports attendee and an excellent platform for corporate entertainment. In 2008, the current race control tower was built. The tower replaced the existing building that previously housed race control, press, media, and VIP suite areas. 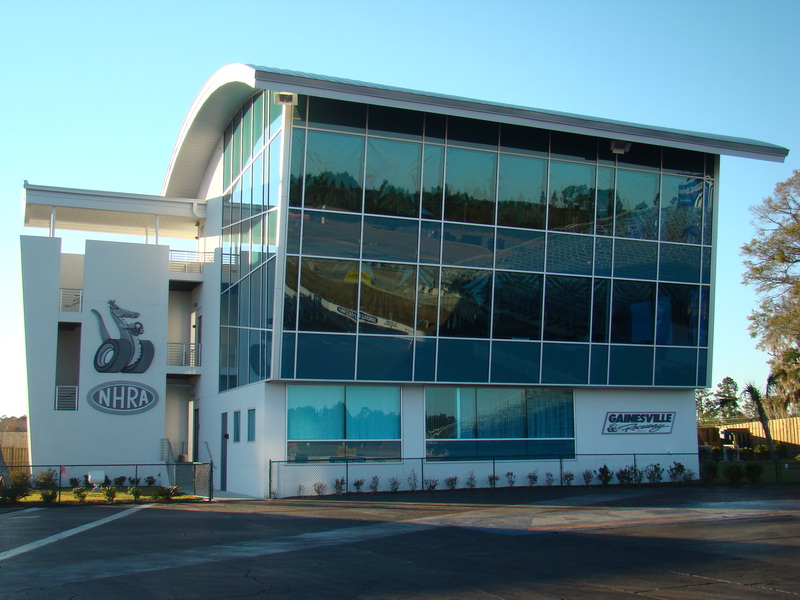 This state-of-the-art facility combines National Event race control, a cutting-edge press and media center, and track business offices into one structure designed to project a unique architectural signature. Gainesville Raceway saw improvements to the gravel trap and top-end area of the track in 2009. The upgrade to the run-off containment area added many new measures for a vehicle out of control. The gravel trap was extended 400 feet, with the depth of gravel being increased as well. New catch nets had a height twice as tall as before with an additional backup set of catch nets being installed. These are followed by DOT impact barrels of graduated resistance and a catch fence afterwards. The east ticket building was constructed in 2009, and connects the road course to the sportsman pit area. This addition increased customer convenience by reducing the distance to the drag strip from the road course parking area used during the National Event. 2011 saw the upgrade to the restroom facilities, with new environmentally-friendly water-saving fixtures and expanded water service.